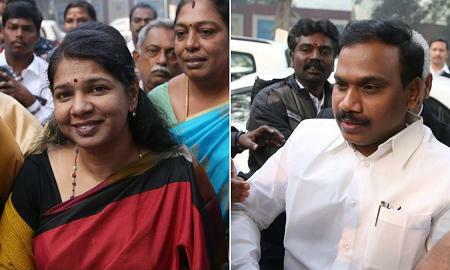 Former telecom minister A Raja and DMK MP Kanimozhi were today acquitted by a special court in the 2G spectrum scam case. Fifteen other accused in the case and three companies were also acquitted. Special CBI Judge O P Saini pronounced the judgement. In its charge sheet filed in April 2011 against Raja and others, the CBI had alleged that there was a loss of over 30 thousand crore rupees to the exchequer in allocation of 122 licences for 2G spectrum which were scrapped by the Supreme Court in February 2012. The Special CBI Court also acquitted all 19 accused, including Raja and Kanimozhi in the Enforcement Directorate’s money laundering case. The court had in October 2011 framed charges against them under various provisions of the IPC and the Prevention of Corruption Act dealing with offences of criminal conspiracy, cheating, forgery and taking bribe. The case relates to the 2G spectrum allocation made in 2008 when Raja was telecom minister. The 2G licences were awarded on a first-come-first-served basis to new entrants and CDMA operators migrating to GSM technology, at a price discovered in an auction held seven years earlier. On February 2, 2012, the Supreme Court cancelled all the 122 telecom licences and spectrum allocated to nine companies in 2008, holding that the allocation process was flawed. 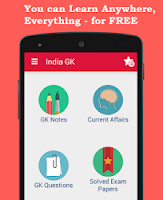 The apex court’s judgment was based on a report submitted by the Comptroller and Auditor General of India (CAG), which stated that the 2G licences had been issued at throwaway prices, resulting in a loss of Rs 1.76 trillion to the exchequer. Further, as per the CAG, the licences had been issued to applicants who had suppressed facts, disclosed incomplete information, submitted fictitious documents or used fraudulent means to secure the licences. The verdict of the CBI special court does not, however, override the Supreme Court judgment cancelling the licences.